Broomgrove is set to back a project to build a school in the hometown of one of its most popular workers. Residents knew nothing about the double-life of Zambian-born care worker Francis Sukwa and were left speechless when he told them about his ongoing work to open a primary school in his hometown of Mufulira, a town in the Copperbelt Province of the country that is suffering crippling poverty and unemployment. He has spent every waking hour raising funds and travelling back and forth to Zambia in his time off to head up the ‘M-Shining Star Tutorial School’ project. Francis Sukwa’s tireless passion means the school will be fully open by January 2016. 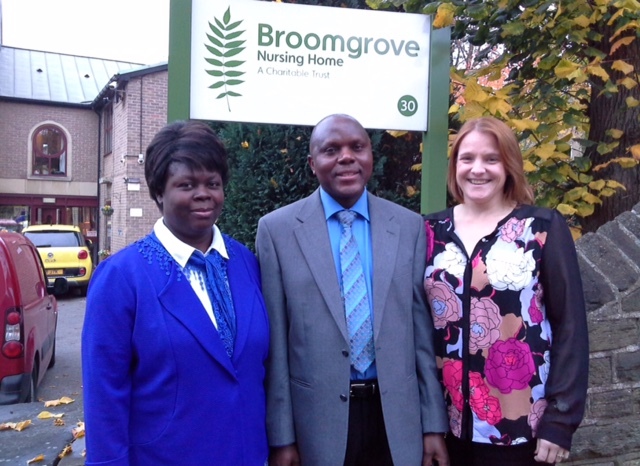 Donna Pierpoint, Broomgrove manager, said: “I invited Francis Sukwa to talk about his project at a recent residents’ meeting and he totally silenced the room – everyone was in awe of what he was doing and what he’d already achieved. Sheffield’s own Bankwood Primary School has already donated furniture and Broomgrove Nursing Home has donated computer equipment, chairs and some musical instruments. Francis Sukwa’s ultimate aim is to have fully sustainable school with well-stocked library, computer room, musical equipment and more. Eight members of staff have landed places at university this autumn! Residents and staff organised a party to say farewell to the individuals that are leaving to pursue a number of different roles in the healthcare industry. “Thankfully we already have staff to take their place, as we have a rolling programme of students joining and leaving us. “Three of the people leaving are going to medical school, three to nursing, one to midwifery and one to radiology”. 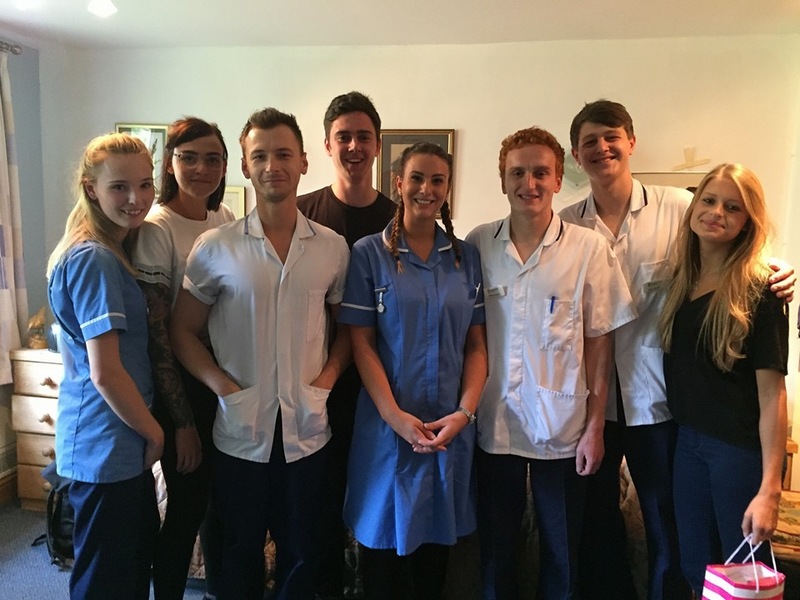 Many students continue to work at Broomgrove Nursing Home and do ‘bank’ shifts in between their studies. Broomgrove’s staff member of the month on the Support Services side is Kay Nicholson. She has been with us for 12 years – firstly as a Care Assistant, then an Activities Coordinator, and now as our In-House Trainer and Music Therapist. She’s a very valued asset and you’ll hear her sing-a-longs every Thursday, brightening up the home!